Benjamin Soto is an attorney who practices real estate transactions and bankruptcy. 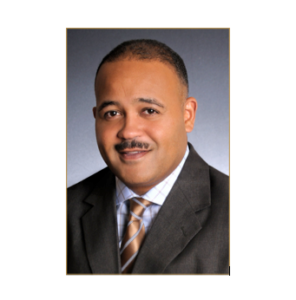 He is the owner of Premium Title & Escrow, LLC, which is a full service title company servicing DC, MD and VA. In addition, he is the owner of Paramount Development, LLC, a commercial development company focused on the acquisition and ground-up development of commercial buildings and hotels in Washington DC. Mr. Soto is on the Board of Directors of: EagleBank, a community bank with 20 branches in the DC region, the DC Land Title Association, the DC Public Education Fund, the Georgetown Day School, the DC Chamber of Commerce and the National Foundation for Affordable Housing Solutions. He is also a former Vice Chair of the Board of Real Property Assessment and Appeals, a former Board member of the National Bar Association and a former Board member of the DC Sports & Entertainment Commission, which developed the Washington National’s Baseball Stadium. Mr. Soto is a member of the DC Bar, Pennsylvania Bar, DC Land Title Association, MD Land Title Association, DC Builders Industry Association and the DC Chamber of Commerce.